There really is no summery I can say that gives any more information than the title. 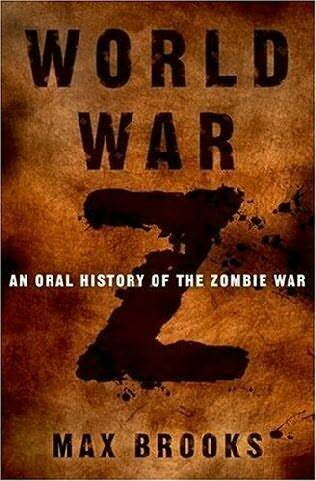 This book is an oral history of the human race fighting zombies. It’s written like a series of interviews that the author is giving to various survivors and is basically them telling us how they survived. Anyone who knows me knows that I love anything zombie related, so when I saw this book I had to read it. I have to say that I enjoyed it for the most part. The one thing I did find annoying was the interview format it was written in. I found it made the book choppy because there were so many different stories, most of which had nothing to do with each other. On the other hand, it would have been incredibly difficult to write in a different style because it does deal with so many people. Idris and Hallandren have been on the brink of war for over twenty years. Back then, the promise of a royal princess - Vivenna - as a bride to Hallandren's God King Susebron was enough to prevent a war. But now that the time has come to send his daughter off to marry when war seemingly inevitable no matter what he does, Idris' king has second thoughts. He decides to send his youngest daughter, the rebellious Siri, instead. There was a kind of flow to it. First it dealt with people running form the zombies, the second part was the world hunkering down and trying to wait it out and basically survive and the last part was the war on the zombies. Unlike most zombie movies and whatnot that I’ve come across it actually deals with the epidemic on a global scale not just in one area or with one group of survivors. It touches on people in Japan, America, Cuba, China and Russia. It also deals with tons of things that I always wondered about, like feral animals and feral children and what would happen if you jumped on a boat and waited it out in the middle of the ocean and so on. All in all, it was a well thought out book.